When it comes to exterior renovations, the project is not complete until the finishing touches are applied. Paint is one of the most critical elements to consider, because not only is it your siding and trim's first defense against the elements, but it also plays a huge role in the durability of all siding materials. As for curb appeal, the color itself makes the largest overall impression second only to landscape and architecture. Sherwin Williams is one of the most respected names in the construction industry, and with good reason. 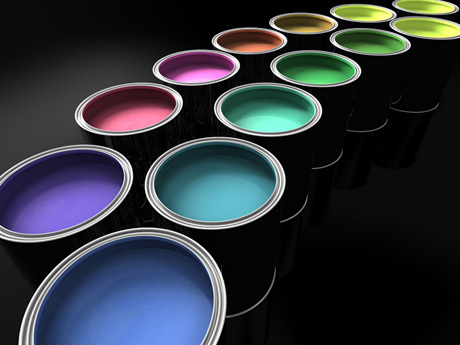 Their wide range of products, the known performance of their products, their warranty, and their unsurpassed color collection make them a preferred paint supplier for much of the new construction and renovation trades. We recommend their products, but there are many good providers available, so don't hesitate to state YOUR preferences for a project. We always work with our customers to produce the best product at the best price. Sherwin Williams has a color selection tool that you can use to "try before you buy". The tool works for both interior and exterior, and will greatly simplify your selection of color. You can upload a picture of your home, or use Sherwin William's sample pictures to quickly test an array of colors and combinations until you find the perfect fit for your home.